Wonderful apple-blossom blush pink, set off by a golden eye. Easy to grow, and voted as a Gardening Which? Best Buy. Flowers May-November. Height 60cm. 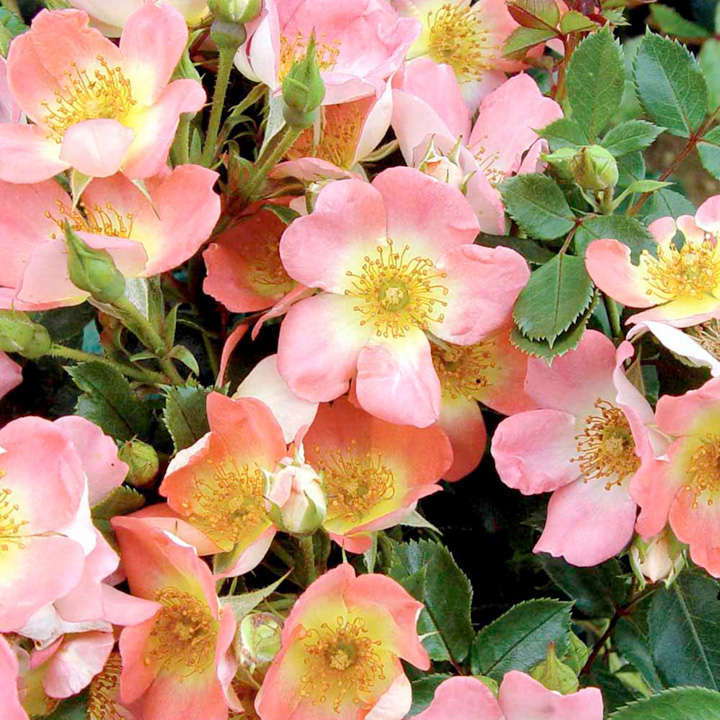 Patio Rose - perfect for patios but great in borders too! Repeat blooming.